KALIS, KLEIMAN & WOLFE has extensive knowledge in both local and State laws governing real estate, land boundaries, platting and land development regulations (LDRs). Florida Statutes Â§177.011.177.151 and Â§163.3202(2)(a) regulate the subdivision of land. A subdivision of land is basically the division of a parcel into sub or smaller parcels. Property owners often split up their property in order to sell, develop, lease or finance the property. For some property owners, splitting up their property into separate lots can mean more money and profits than selling as one parcel. Due to some vagueness in Florida laws, in order to make sure all the processes and proper procedures are complied with, it is important to consult with an experienced real estate attorney to ensure your rights are protected. The subdivision attorneys at KALIS, KLEIMAN & WOLFE can help you interpret the various regulations and limitations pertaining to your property. They can also assist property and land owners with negotiating, modifying and drafting of division plans, researching land subdivision and identifying any potential legal problems (use permits, zoning ordinances, deed restrictions, etc. ), assisting in obtaining land surveys, addressing environmental issues, filing applications, attending public hearings with planning commissions and zoning boards, updating of deeds, and more. We regularly work with local planning and zoning boards, municipal planning boards, municipal and county planners, engineers, surveyors, landowners, builders, contractors and financial institutions. 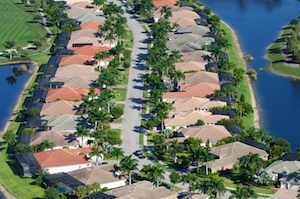 To learn how our law firm helps property owners, landowners and builders with subdivision projects, contact a Florida real estate attorney at KALIS, KLEIMAN & WOLFE today.